David Marion is our founder and first Partner Ameritas. David was also the firm’s first Managing Partner. He co-founded SMCO in 1983 with retired Partner Bill Smith. Although, David retired in August 2018, he is still in our Redlands office from time to time as a consultant of the firm. David is an expert in accounting and auditing for non-profits and government agencies and specializes in non-profit tax returns. David believes in teaching through stories and hands on experience. Before retirement, David spent many hours mentoring employees and there are many current and past employees who attribute their success to his time and mentorship. While at SMCO David had the opportunity to travel to Haiti, Loas, Afghanistan, Mozambique, Lesotho, Kalimantan, Borneo, Jicarta and Papua. David received a Bachelor of Science Degree in Accounting in 1978 from California State University San Bernardino. He has served as a Cal CPA Board Member and Board President. 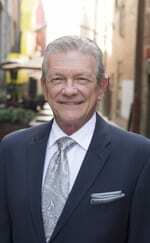 In 2012 he received the Distinguished Service Award from the CalCPA Inland Empire Chapter. In 2015, he received the Inland Empire Chapter – Community Service Award. Community minded, he has participated since 2011 in Arrowhead United Way, serving terms as Finance Chair and six years as Board Chair. He was involved in Camp Fire leadership as Board Chair and Treasurer for over ten years. He also served as Treasurer on the committee to renovate the Sturges Auditorium in the mid 80’s, helping it get financed and positioned for city ownership. Now that he is retired David has more time to spend out on the golf course and with his beautiful wife, their daughter and his two grandkids. He enjoys travelling and photography and holds seasons tickets to the Inland Empire 66’ers.